Nurses hold up signs supporting Medicare for All proposals at a rally on Capitol Hill in Washington in September 2017. Re “Single-payer health care shouldn’t be a litmus test” (Scot Lehigh, Opinion, Feb. 6): It is unfortunate that “Medicare for all” has become the go-to phrase when referring to single-payer health plans. It’s clear why this has happened. Most everyone (with the possible exception of Paul Ryan) has a positive opinion of Medicare, and it has literally been a lifesaver for seniors, who otherwise would need to buy insurance in the private market. However, whenever a word or phrase is appropriated for another use, its original meaning can be lost or, at the least, confused. And make no mistake: “Medicare for all” will not be the same as Medicare. There are many reasons why a single-payer health care system would be a good idea. Don’t we think the American people are able to understand those reasons without pretending it’s something else? Scot Lehigh got it right: “Medicare for all” is a complex, expensive plan that no one has thought through. In fact, as a Medicare beneficiary, I understand that, in its current form, it does not cover all necessary benefits, particularly as one ages. Private health insurance is needed to cover the gaps, and it is not inexpensive. Fixing and expanding the Affordable Care Act makes the most sense for the most people now. The recent column by Scot Leigh on primary voters and a Medicare-for-all “litmus test” for candidates is the same tired corporate line working people have gotten for decades. Fortunately, it is one that no longer holds up to the weight of scrutiny or common sense. 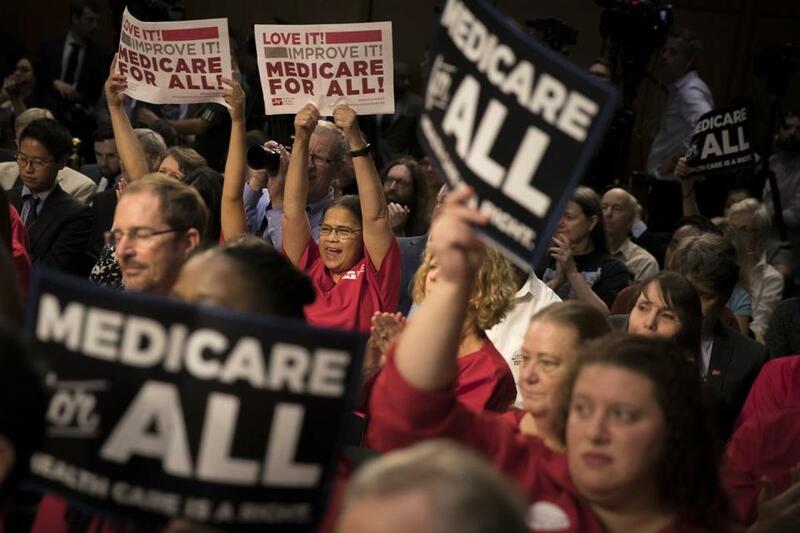 Recent polls show that 84 percent of Democrats and 52 percent of Republicans now support Medicare for all. Thanks to decades of dedicated work by thousands of people, efforts of unions such as National Nurses United, and the 2016 presidential primary campaign of Senator Bernie Sanders, the landscape has changed. Saying to candidates, and to the Democratic Party, that you risk losing your race or hurt your chances of beating Donald Trump in 2020 if you don’t support Medicare for all is not a litmus test. It is the truth. I want to read reporting on the economic effect of single-payer health care — not how much it will save or cost you and me, but what it will do to existing jobs in the industry, both white-collar and care-oriented. I think single payer is a great idea for many reasons, but if you wave a wand and implement it, would the loss of all those bloated bureaucratic jobs throw us into recession? Someone somewhere must be doing research on the economic impact. We need to understand this before making such a sweeping change, so as to handle the effects sensibly.